If you like free audiobooks and the classic book Pride and Prejudice then this is your lucky month. Today Amazon updated their Whispersync for Voice freebie. 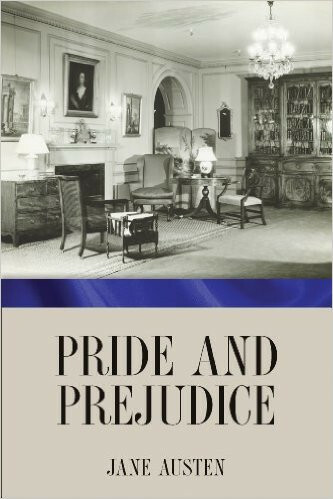 Through May you can get a free Audible audiobook and Kindle ebook of Pride and Prejudice by Jane Austen. Last month’s freebie was also a Jane Austen title so I guess they’ve got a theme going here. Just remember to check the box below the buy button when getting the ebook to automatically add Audible narration for free. If you miss it you can use Amazon’s Matchmaker tool to find audio companions for ebooks you own. Since it’s in the public domain the ebook is normally free anyway, but the audiobook regularly sells for $14.95 so that’s where the bargain comes in. The audiobook is professionally narrated and has a runtime of 11 hours and 35 minutes. You don’t need to own a Kindle to get the free audiobook; you just need an app, either a Kindle app or an Audible app to listen to the audiobook. Here’s more information about how to use Amazon’s Whispersync for Voice and immersion reading features. Amazon has been giving away a free audiobook of a classic title each month since they introduced their Whispersync for Voice feature that syncs the last page read on Kindle ebooks and Audible audiobooks so that you can easily switch back and forth between the two. Wasn’t aware of this program or the Matchmaker tool. Thanks Nathan. Hmmm, I got the ebook but no audiobook is available for me. Is it that specific ebook? There are a bunch of different versions and it has to be that one to get the audiobook. Hi. On mobile, click on the blue highlighted ‘Pride and Prejudice’ at the beginning of the articlessence and it will take you right to it. Remember to check the free Audible box before continuing. Yup, that specific copy of P&P that you linked to above. No linked Whispersync audiobook is available for me. Unless you live outside the US that makes no sense. I can confirm that it worked for me and a few others. You might try contacting Amazon to see what the issue could be. Someone posted a direct link to Amazon’s page for the audiobook, and then I was finally able to get it for free. No idea why it wasn’t available from the ebook page or the matchmaker page. Perhaps it’s because I have another ebook edition of P&P which has a different linked audiobook available (and not for free).